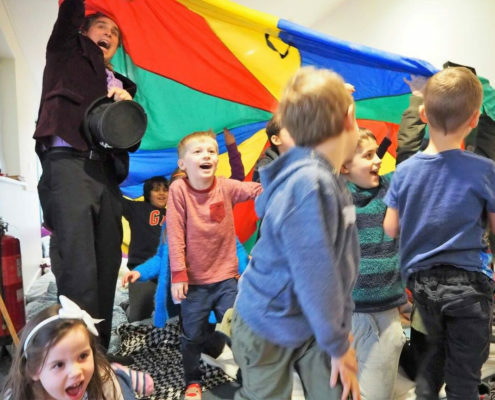 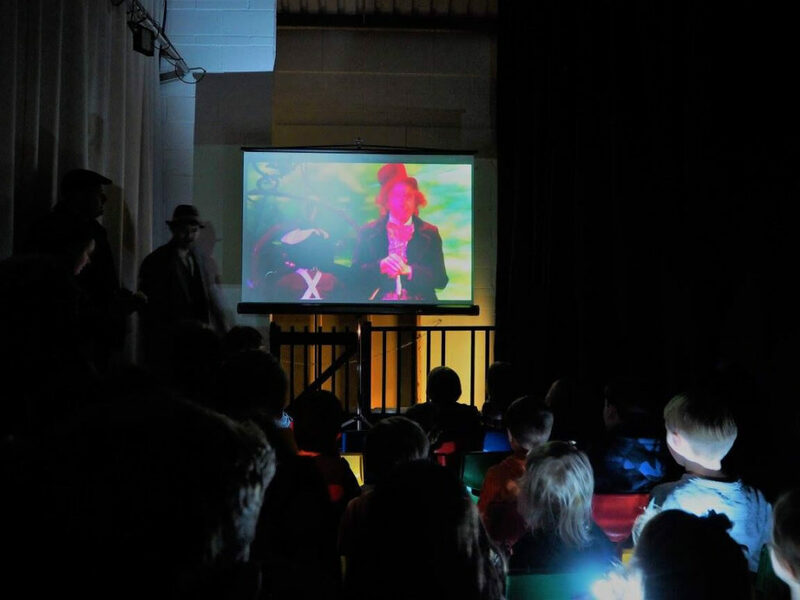 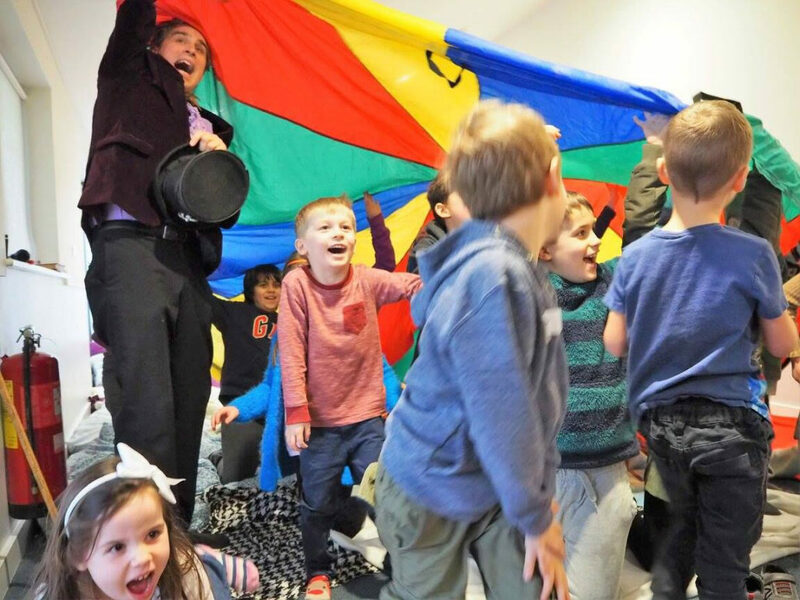 Local cinema Saffron Screen has joined forces with the award-winning HyperFusion Theatre Company in the guise of The Shhh Experience to present an immersive theatre and film experience for all the family this half term. 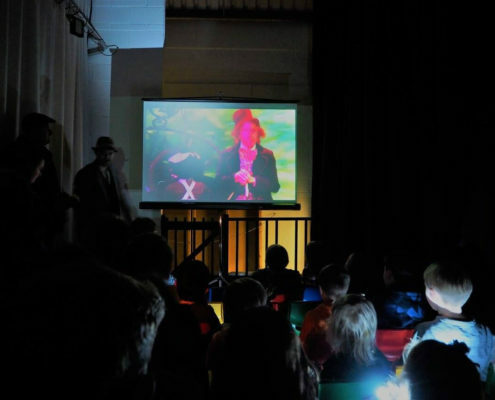 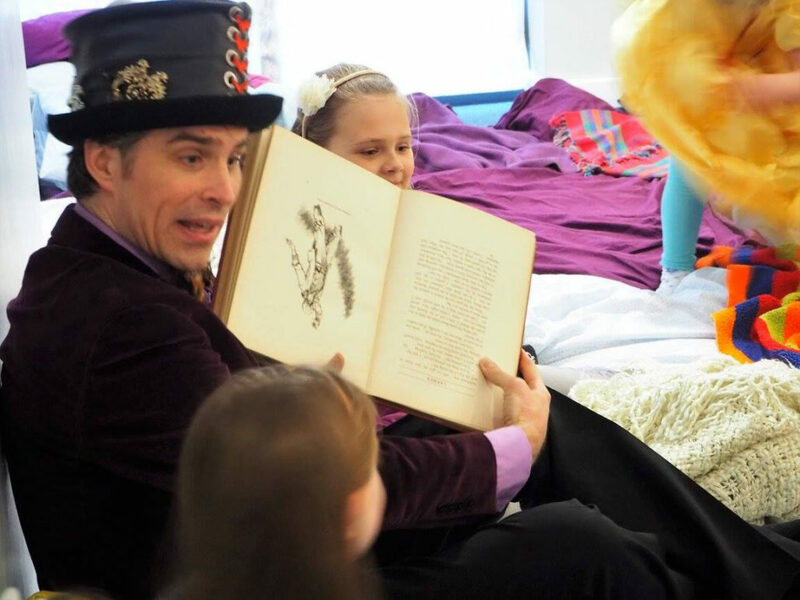 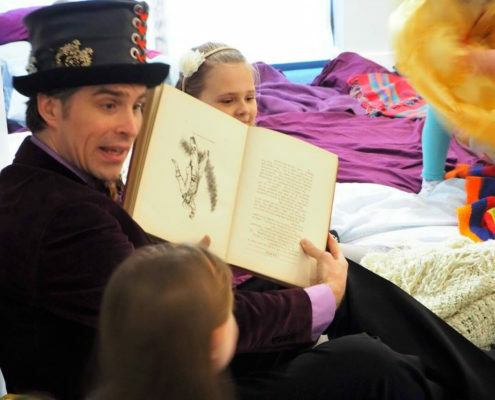 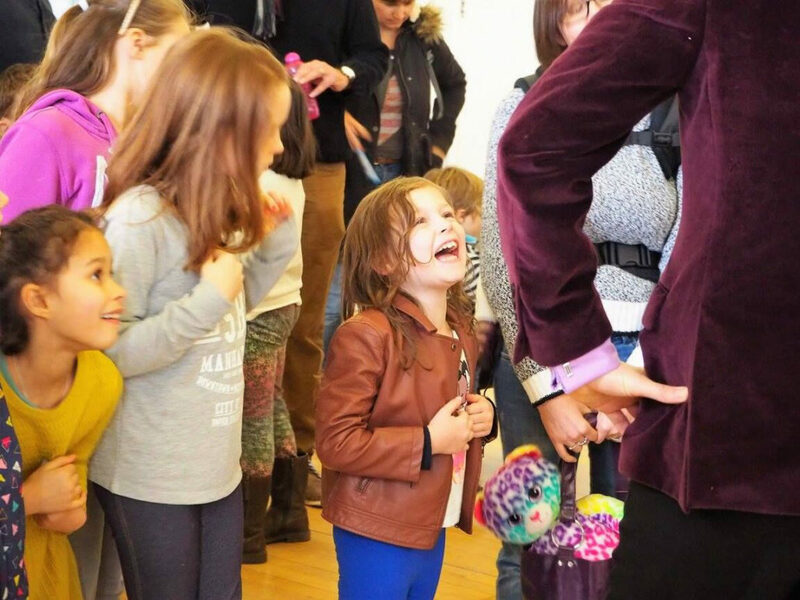 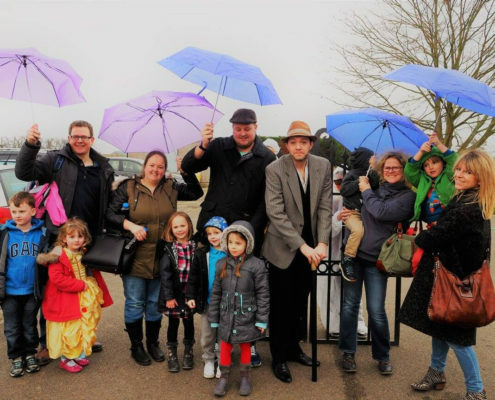 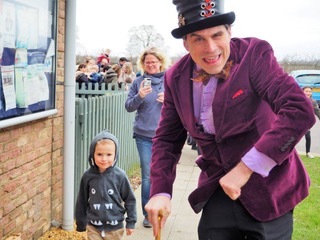 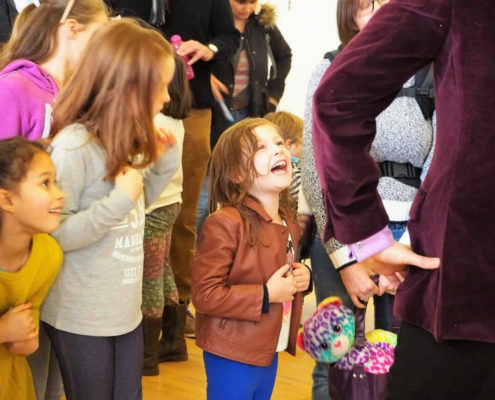 Willy Wonka and the Chocolate Factory took over Great Chesterford Community Centre for two spectacular days in February (15/16) to recreate a magical Wonka world full of interactive entertainment, thrilling theatre and revival of the Gene Wilder classic. 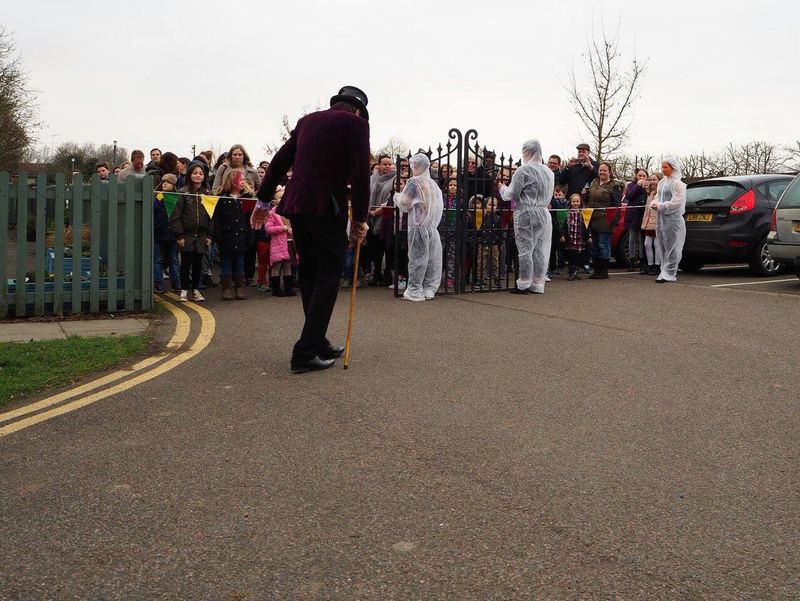 Themed cupcakes by local Catherine Kelly and traditional refreshments were on sale before and during the event.